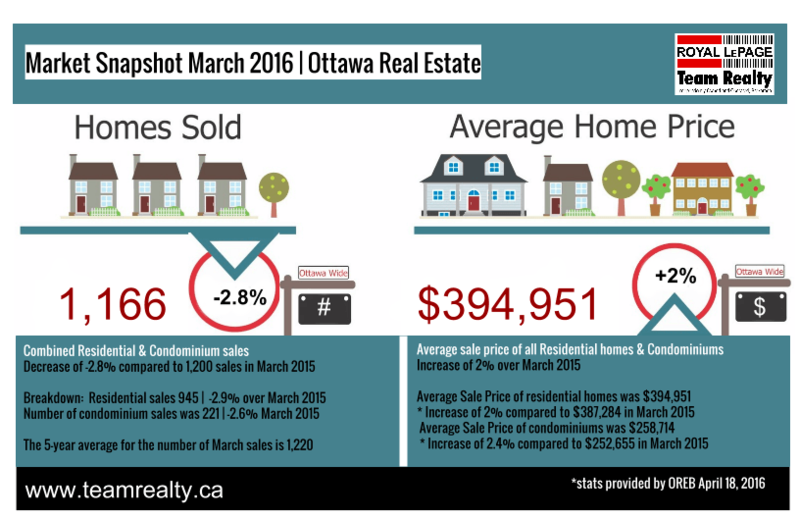 Ottawa Real Estate: March market springs into action! The following information provided by the Ottawa Real Estate Board. Members of the Ottawa Real Estate Board sold 1,166 residential properties in March through the Board’s Multiple Listing Service® system, compared with 1,200 in March 2015, a decrease of 2.8 per cent. The five-year average for March sales is 1,220.